Been looking up for some LED headlights cause alot of my buddys with jeeps are running them and im very pleased, just wondering if anyone on here has had them installed? I think one guy on here has LED bulbs in his lights. IMHO, like HIDs they will blow out your cutoff like HIDs unless you have housings or projectors designed for them. JW Speaker are literally the best LED headlight out there. Look at the trucklite too. 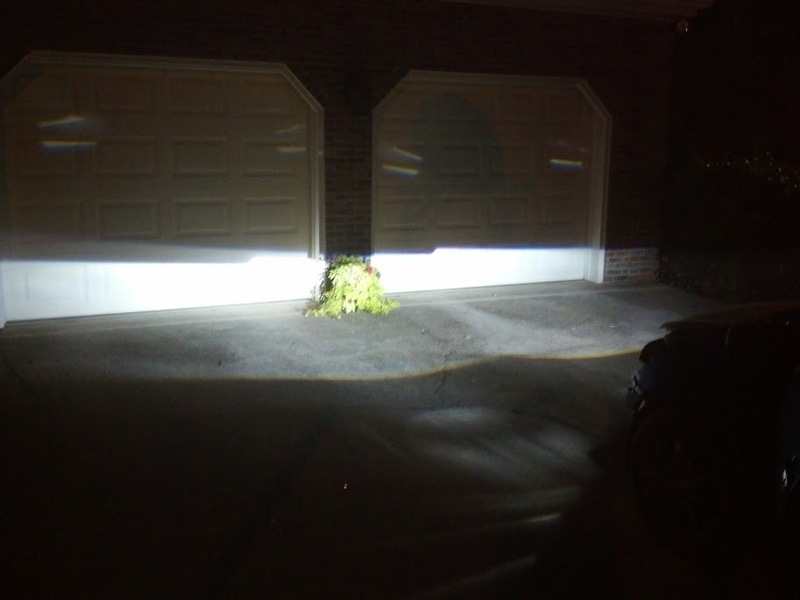 2 LEDs, one that reflects up top for low beams.and one lower for high beam. They are pretty nifty but might take a sec to get used to looking at. A LED bulb may be, say, 55w but with the efficiency of it it.may actually put out more light than a 100w halogen. The focal point will also likely be different which will destroy any hope for a cutoff. i went with autopal e code lenses and opt7 bulbs..really good cutoff and atleast 5 times brighter then stock.bulbs were $100 and lenses were $22. im a bit lost what are cutoffs? Cutoff is this nice sharp line you get with projectors. Keeps you from blinding oncoming traffic. This was before I adjusted mine so they're a little off but you get the idea.